The Canadian Association of Geographers and the Université Laval are pleased to invite you to Quebec City to participate in the 2018 International Geographical Union (IGU) Regional Conference – Canadian Association of Geographers (CAG) Annual Meeting – National Council for Geographic Education (NCGE) Annual Conference, to be held in Canada from August 6 to 10, 2018. The conference theme is “Appreciating Difference”. To appreciate the difference is not only a question of what we find significant and of value, it is also an awareness of differences and the ability to recognize them as meaningful to a more inclusive interpretation of the diverse world in which we live. Conference topics, as well as IGU commissions, CAG study groups and NCGE Sections will reflect on this thought-provoking theme. For more information and to register: IGU 2018. The calendar for the 16 ESRI Canada User Conferences is now available at: ESRI Canada Conférences schedule. As some of Canada’s most important annual events for the GIS community, these conferences provide an opportunity to discover exciting new developments about ESRI’s GIS solutions and network with your peers. ESRI Canada invites you to share your GIS success story with your peers who will appreciate the story it tells and the inspiration it creates in their own GIS work. You can send an abstract of your presentation to Submitting an abstract. This joint conference will attract researchers from academia, industry and government active in all geo-information fields: data collection, advanced modelling, data management, data analysis, dissemination, visualisation for a wide range of application domains. 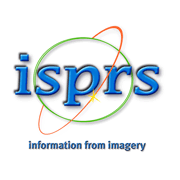 ISPRS Technical Commission IV Symposium. Full papers: deadline March 31st. Abstracts: deadline April 30th. 13th 3D GeoInfo Conference. Full papers: deadline March 31st. Abstracts: deadline April 30th. 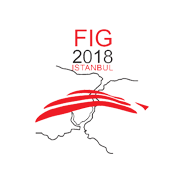 6th International FIG Workshop on 3D Cadastres. Extended abstracts: deadline May 1st. 3rd International Conference on Smart Data and Smart Cities. Full papers: deadline March 31st. For more information: Geo Delft 2018. The 10th GIScience conference will be held from August 28th to August 31st in Melbourne, Australia. The conference regularly brings together more than 300 international participants from academia, industry, and government to discuss and advance the state-of-the-art in geographic information science. A call for contributions is currently open for full papers and extended abstracts. The deadline for submitting a full paper is February 16th. The deadline for submitting an extended abstract is April 30th. 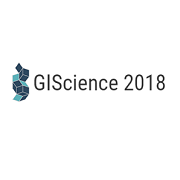 For more information: GIScience 2018. To submit a contribution: Submit. 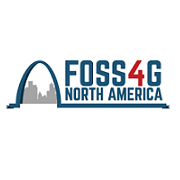 The next FOSS4G NA annual conference will be held from May 14th to May 16th, 2018 in St.Louis, Missouri (USA). A call for abstracts is currently open for the academic track. 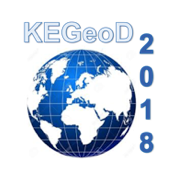 Submissions focusing on emerging geospatial research topics such as big data, linked data, UAVs, the Internet of Things, and solving real-world problems are particularly encouraged. The deadline for submission is February 8th. For more information: FOSS4GNA 2018. To submit an abstract: Submit. The ISPRS Technical Commission IV Symposium 2018 will be held in Delft, The Netherlands, from October 1st to October 5th, 2018. The ISPRS Technical Commission IV symposium highlights the work of the commission aiming to bring together researchers, professionals and users to discuss, exchange ideas, and demonstrate new developments. 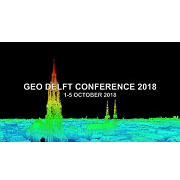 The symposium is part of the Geo Delft 2018 Conference. A call for papers is open until March 31st. For more information regarding the symposium and to submit a paper: Symposium ISPRS TC IV 2018. For more information regarding Geo Delft 2018: Geo Delft 2018. The 10th International Summer School on Radar/SAR will take place in Remagen-Rolandseck, Germany, from July 13th to July 20th, 2018. As a student at the International Summer School, you are welcome to a stimulating academic environment in a vibrant atmosphere among international radar specialists and experts. Courses are accompanied by workshops, excursions, as well as cultural and social events. 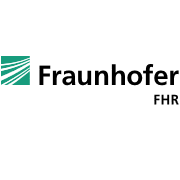 This summer school is organized by the Fraunhofer FHR Institute. For more information and to apply: Summer School on Radar. 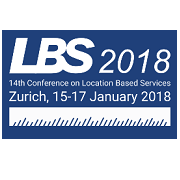 The 14th Conference on Location Based Services will be held in Zurich, from January 15th to January 18th, 2018. A Call for Papers is open, until July 12th, 2017. 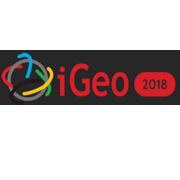 The 2018 International Geographical Union Regional Conference will be held at the Québec City Convention Centre, from August 6th to August 10th, 2018.
human migrations of any scale and any causes that recompose the social mosaic anywhere in the world. This presentation summarizes with examples four different methods for combining GPS and other systems to achieve mission success when GPS becomes unavailable. No admission charge, remote access available. 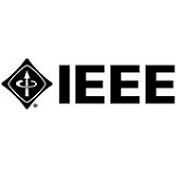 For more information and to register: IEEE Event. PhotoGA 2017 will provide an opportunity and platform for all professionals involved in photogrammetric 3D reconstruction to share research ideas and results, foster and enhance cooperation, draw inspirations and maximize potentials. It will gather experts from photogrammetry, remote sensing, and computer vision from both academia and industry. The workshop will be held at the Wuhan University (China) on September 21st and September 22nd. More information at: PhotoGA 2017.